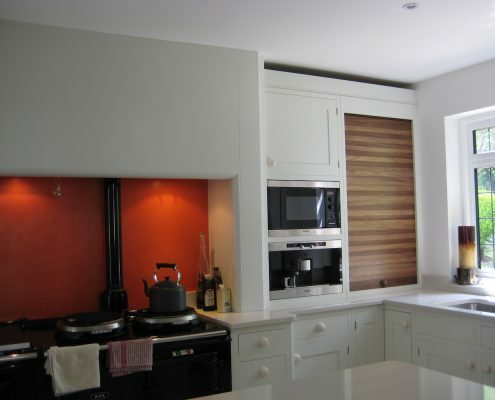 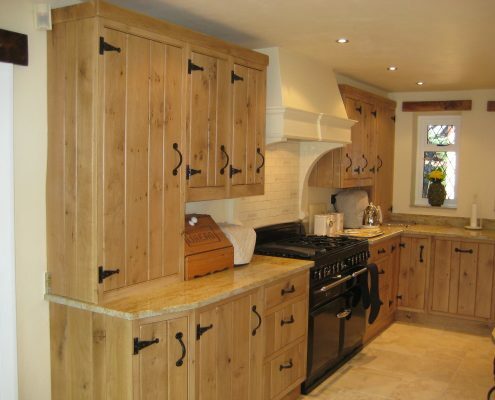 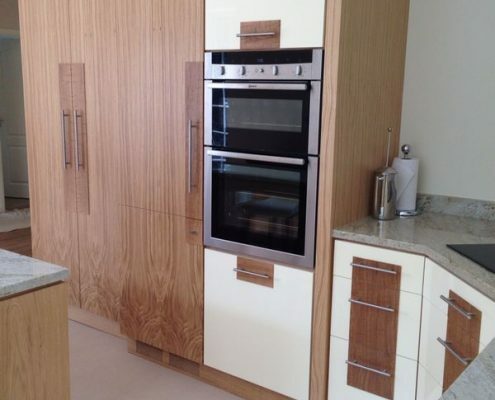 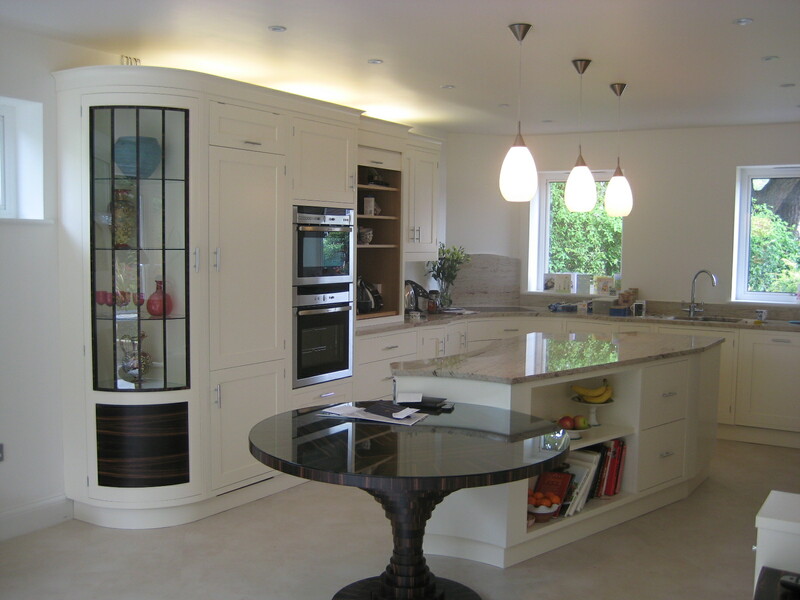 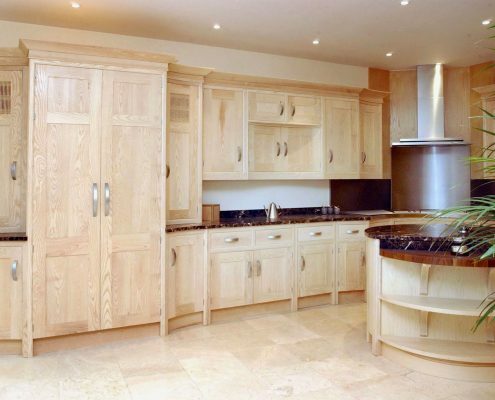 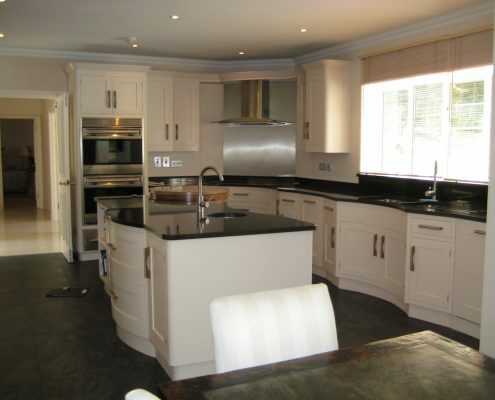 Bespoke Kitchens & Furniture keeps abreast of rising trends in the design community. 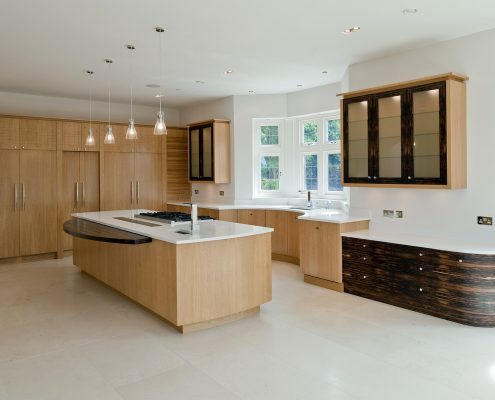 Modern homes are often characterised by sleek yet shapely structures that give a home life. 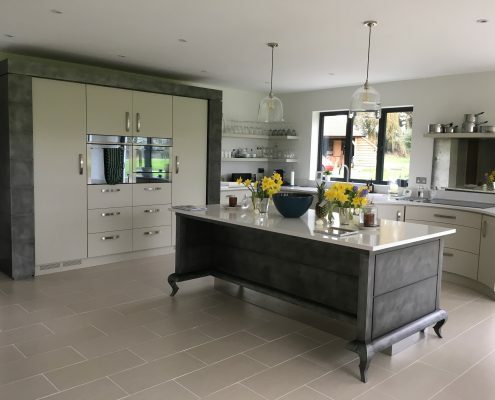 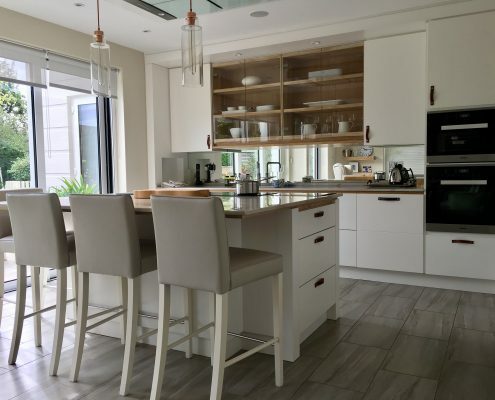 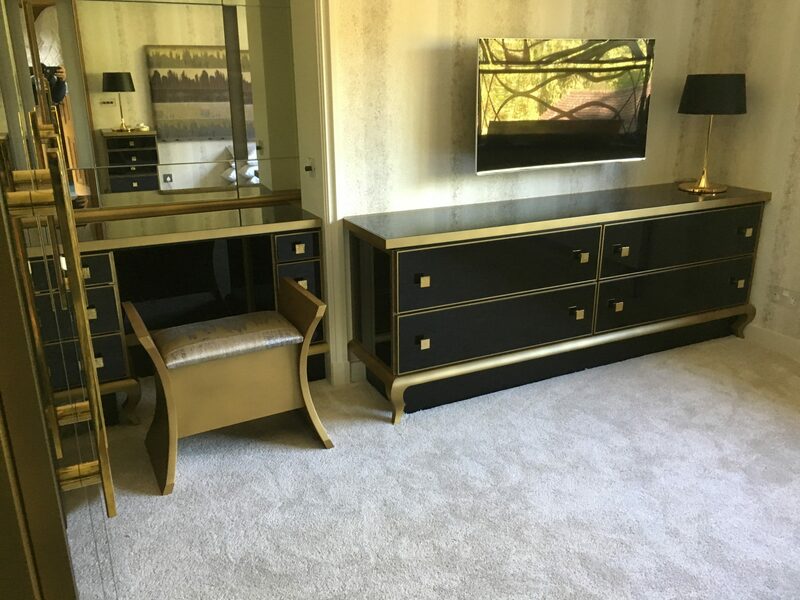 To meet the demands of the industry, we present a wide selection of contemporary kitchen furniture to suit the modern aesthetic of interior designers and homeowners alike. 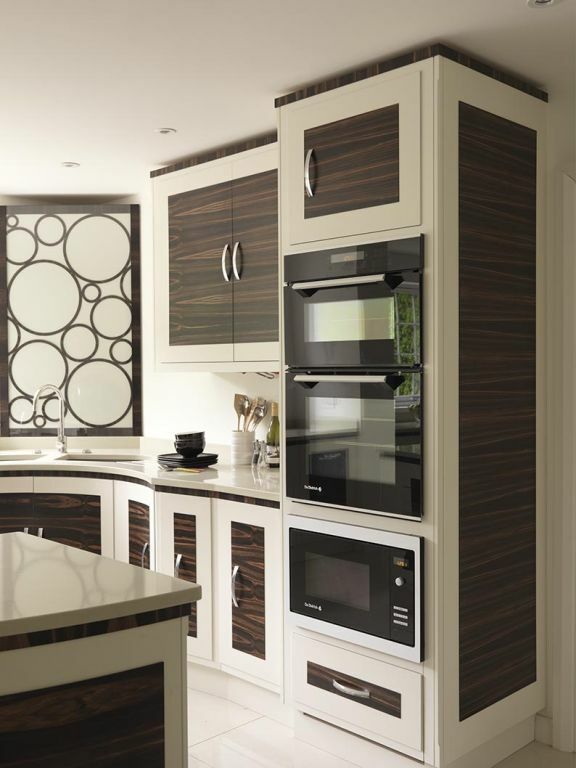 The kitchen can be an expression of both timeless and contemporary styles. 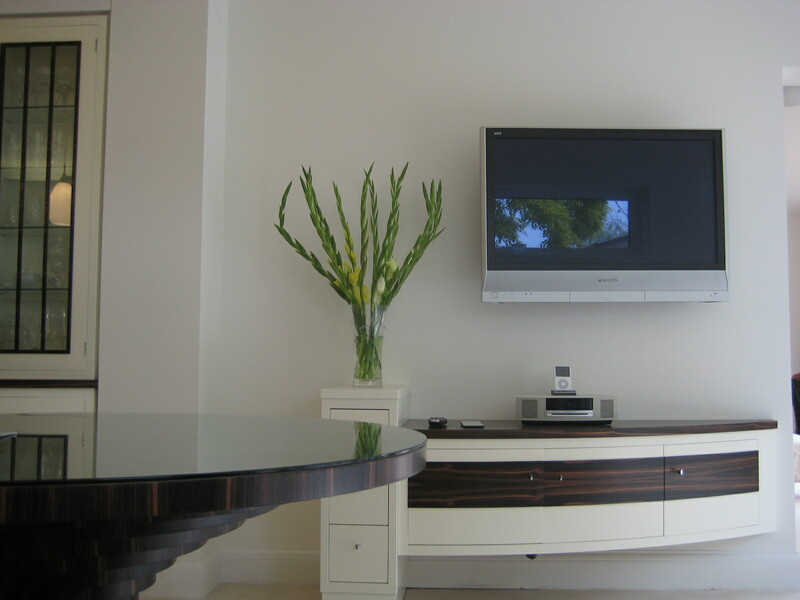 Against a classic white theme, splashes of bold and vibrant huesfill the room to liven up the area. 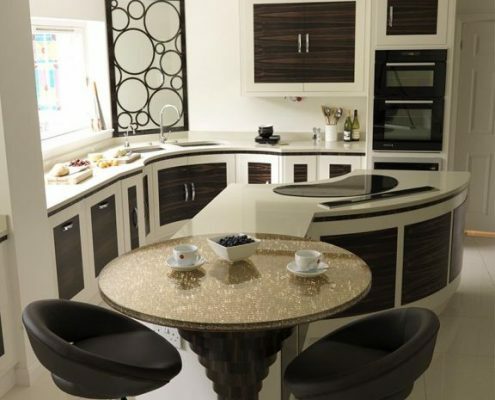 The centrepiece is the round table that strikingly contrasts in both shape and colour. 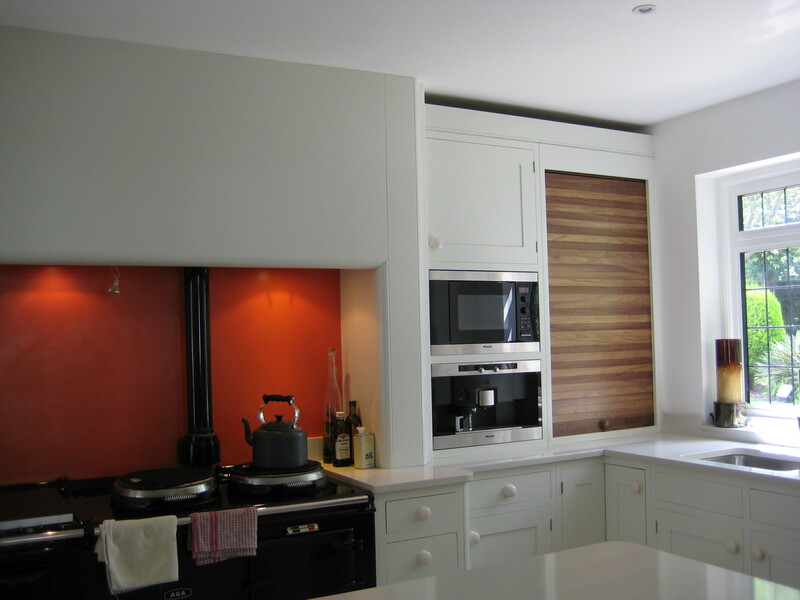 Storage spaces keep the kitchen clean and minimalist in design, making room for comfortable food preparation.